So far this week we covered how Bellerive will play and what odds to win the PGA Championship have caught my eye. But picking a winner of a tournament is hard. I certainly know based on how this year has gone – I’ve had a futures bet on the guy who finished 2nd at every major so far this year. It can be thrilling to have a longshot be in contention to win, but it also can be incredibly frustrating when you think about a shot or two that could have been the difference between a lost bet and a big pay day. That’s why you bet on matchups and props. It shrinks the variance that a golf tournament offers by isolating certain factors. If you do your homework and place your bets intelligently, you can still turn a profit at the end of the weekend even if you don’t cash in on a winning futures bet. I’ve already covered in the winners column why I like Tommy Fleetwood this week at Bellerive, so instead let’s focus the discussion solely on Tiger Woods. After a hot start to the WGC Bridgestone he faded badly on the weekend by going 73-73 to close out his tournament. He’s played a lot of golf over the last month and by the end of the tournament he looked visibly drained. It’s possible that father time might be catching up to him, even if he still looks like he could start at strong safety for the Giants in a few weeks. When asked to rely heavily on the driver, Tiger has faltered. Last week at the Bridgestone while he tried to get around with just using long irons, the times he pulled out the driver didn’t go well for him at all. And on the weekend he lost 0.4 strokes off-the-tee to the field, which was a continuation of his struggles in that area all year long. The zoysia fairways will reduce the amount of roll on tee-shots, so he’ll have no choice to but use the driver to avoid being too far back on his approaches. Because of that, I expect him to struggle again off the tee this week. Historically, Tiger prefers to putt on quick surfaces (a reason why he’s been most successful at venues with fast greens like Augusta, Muirfield Village and Firestone). This week the greens won’t get above 11 on the stimpmeter if we’re lucky, and he sometimes has trouble with his pacing on slower surfaces. While things appeared to fall into place at Carnoustie for him to contend, it seems to be going the opposite way for Tiger at the PGA Championship. Not only do I like Fleetwood -135, but you can also get Jon Rahm -125 over him. I prefer being on Fleetwood because of how volatile and mercurial Rahm can be, but if you’re looking to heavily #FadeTiger this weekend, these matchups are two great options for you. On the course, 2018 has been the year from hell for Sergio. A lot of people have tried to speculate what exactly is wrong with him, whether it be if he’s lost his edge after finally capturing a major championship or if his priorities have shifted after becoming a father for the first time. Whatever the reason is, he’s been downright dreadful over the last few months. He’s missed the cut in every major this season and has been awful in almost every relative ball-striking categoy since the Masters. While he’s probably due to at least make the weekend just by law of average, I don’t expect anything better than a Top 40 finish from him. On most books, you have the option of taking either Ian Poulter or Branden Grace against Sergio this weekend. When given the choice, I like taking Poulter. He’s coming into the tournament in really nice form after playing very well at Firestone last week and also showed well at the U.S. Open in June. While he’s not as long off the tee as I would like, he’s been tremendous on his approach shots this year and I have confidence that he can putt well enough on the slow surfaces to post a solid finish at Bellerive. That’s enough for me to like his side of the matchup over Sergio this weekend. Shop this price around to try and get a little better odds, but here’s a matchup I absolutely love despite having to lay significant juice on it. Charl Schwartzel was one of the worst golfers I graded in my analysis for Bellerive. On the year he ranks 155th in Strokes Gained Tee-to-Green, 149th in Strokes Gained Off-The-Tee and 141st in Strokes Gained on Approach. While he did post a spectacular final round 63 at Akron it was on the heels of three consecutive rounds over par. Schwartzel has missed the cut in every major this year, and if you’d like to continue to press that trend then you can also grab him at +150 to miss the weekend. Meanwhile, Russell Henley has played some solid golf this year. He finished T15 at the Masters, T25 at the U.S. Open and he’s averaged 1.22 Strokes Gained Tee-to-Green over his last 3 tournaments. Even if Henley isn’t in contention, I think he can do enough to at least make the weekend. Pitting him against a golfer as in the weeds as Schwartzel might be good enough to cash that ticket by the end of Friday. The course conditions at Bellerive were already soft…and that was before the golf course received over an inch of rain today. Elite ball-strikers lick their chops when they play on a squishy golf course, and with as fragile the greens reportedly are there’s not a whole lot the maintenance crews can do firm them up and help repel approach shots away from the hole. Yes, there’s talk that the rye fescue rough is pretty tough and could pose some problems for the golfers, but I expect someone to have a tremendous round off-the-tee and take advantage of the soft greens to put up a very nice number. I like under 63.5 as the low round of the tournament, and I wouldn’t be surprised if someone shoots 63 or better on Thursday to cash this one quick. It was looking like 2018 was going to be a lost year for Kevin Kisner, but he surprised everyone when he finished T2 at the Open Championship to salvage his season. But he’s crashed back down to earth with a disappointing missed cut at the RBC Canadian Open and was a non-factor at the WGC Bridgestone. His ball-striking statistics over the last few months are still really ugly, and I think Bellerive is going to expose his deficiencies off the tee. 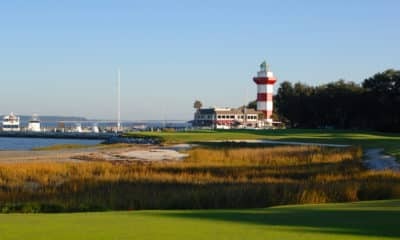 To play well at Bellerive he’ll have to be spectacular with his approach shots, but excluding the Open Championship he hasn’t posted positive strokes gained in that category since the RBC Heritage. I don’t think he stands much of a chance this weekend, so I like getting +135 he’ll head to the airport on Friday. Kevin Chappell was playing solid golf before a back injury slowed his momentum shortly before the Masters. After that his game went to a pretty dark place where he missed six of nine cuts and didn’t post a finish better than 30th. Chappell decided to change things up by employing the help of noted swing coach Sean Foley before the Open Championship, and it seems like it may have woke up his game. Chappell posted an impressive T6 finish at the Open Championship, and though he only finished T39 at the Bridgestone last week he posted a very respectable 1.67 Strokes Gained Tee-To-Green. If his form is in fact back, Chappell is a good enough ball-striker to post another Top 20 finish at the PGA Championship. Aaron Wise – $6,800: Since capturing his first win at the AT&T Byron Nelson, Wise played some pretty lousy golf for a few weeks. Despite missing two of his last three cuts, he may have refound his form. He’s averaged 0.84 Strokes Gained Tee-To-Green over that stretch, and he was finally able to match his good ball-striking with a T6 finish at the Bridgestone last week. 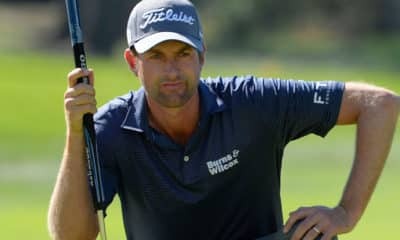 One of Wise’s best part of his game is his driving, and if he can continue to swing that club well he might be able to make some noise on the weekend. Dylan Frittelli – $6,700: Frittelli played the first half of the year primarily on the PGA Tour before switching back to the European Tour over the last couple months. 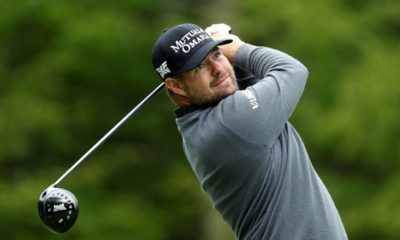 His results stateside were a bit mixed, but it did include an 11th place finish at the Honda Classic and a T20 finish at the Valero Texas Open. His play of late has been better across the pond and he’s one of the more well-rounded golfers on that tour. He ranks 19th in Strokes Gained Tee-To-Green, 67th in Strokes Gained Off-The-Tee, 11th in Strokes Gained on Approach and 33rd in driving distance on the European Tour. And though he doesn’t have enough starts to qualify for rankings on the PGA Tour, if he had he’d be ranked a respectable 75th in Strokes Gained Tee-To-Green. Given the strength in his game is off-the-tee, I like him to play well at Bellerive. 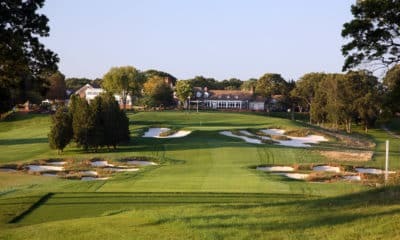 2018 PGA Championship Preview – How Will Bellerive Play?